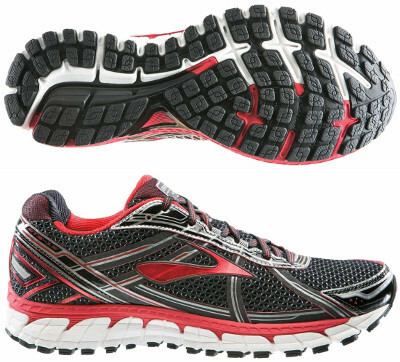 Brooks Adrenaline GTS 15 are stability cushioned running shoes. The Brooks Adrenaline GTS 15 is the latest version of the most popular saga from the american brand and now it is available in several new colors following modern trend. Although midsole has not been upgraded to Super DNA like in the Transcend it features BioMoGo DNA without gel in the heel. Cushioning is slightly softer than in its predecessor the Adrenaline GTS 14 and full length segmented crash pad improves flexibility and delivers smooth transition. Pronation control relays on Progressive Diagonal Rollbar which basically is a tri-density midsole (multiple levels of material hardness) with an internal post for a more natural and efficient gait cycle.